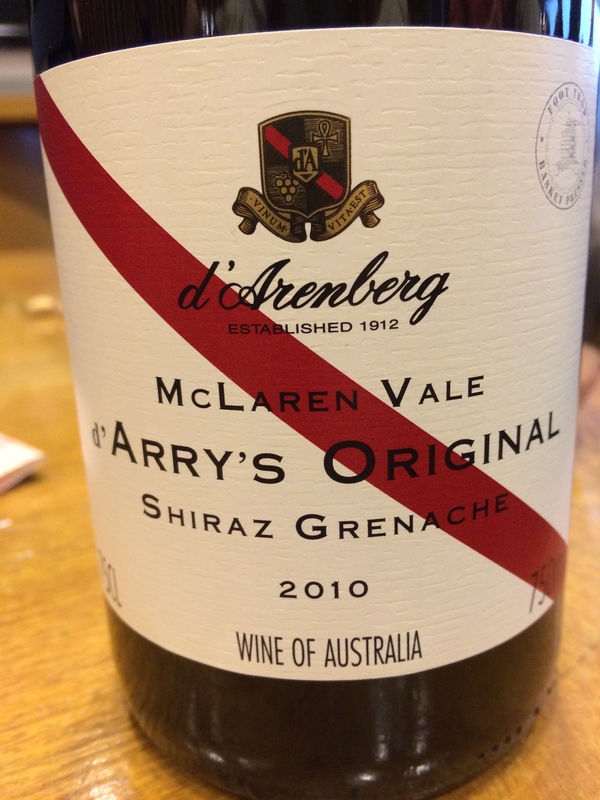 Another winner from the d’Arenberg winery is this Shiraz Grenache blend. Dark purple in the glass and smelling of plums and lavender with some earth. A unique flavor that bursts with black currants, raspberry and a floral sweetness that was really interesting. The structure is good with some tannins residing between the acidity and the fruit. A good mouthfeel makes this a pleasing wine to drink, it would work all by itself or do battle with a big NY Strip steak. The wine is 3 years old and has a good cellaring potential but is drinking en pointe right now. I paid $17 and am giving it 91 points making it a 5 star effort. Get some. Salut….